Hello and welcome to Birds of Westwood! This website aims to raise awareness of and appreciation for the bird life on and around the UCLA campus, in the Westwood area of Los Angeles, California. It is geared toward the amateur, the casual birdwatcher, the student who may see a bird on the way to class and wonder at its name... then perhaps wonder what other birds there may be. I have been planning and working on this site for a long time, so additions and improvements are happening on an ongoing (gradual) basis. Please don't hesitate to email me with suggestions or questions. My email address is: jfinley AT fontbonne DOT edu Also if you have any sightings, bird pictures, or other bird knowledge, please share! I'll gladly post your pictures and give you credit, of course. PS - Try reloading this page a few times and see what happens. Stone Canyon Creek Restoration Project - an ongoing effort to restore a creek on the UCLA campus to its native state, and track the impact on wildlife (e.g., birds!). 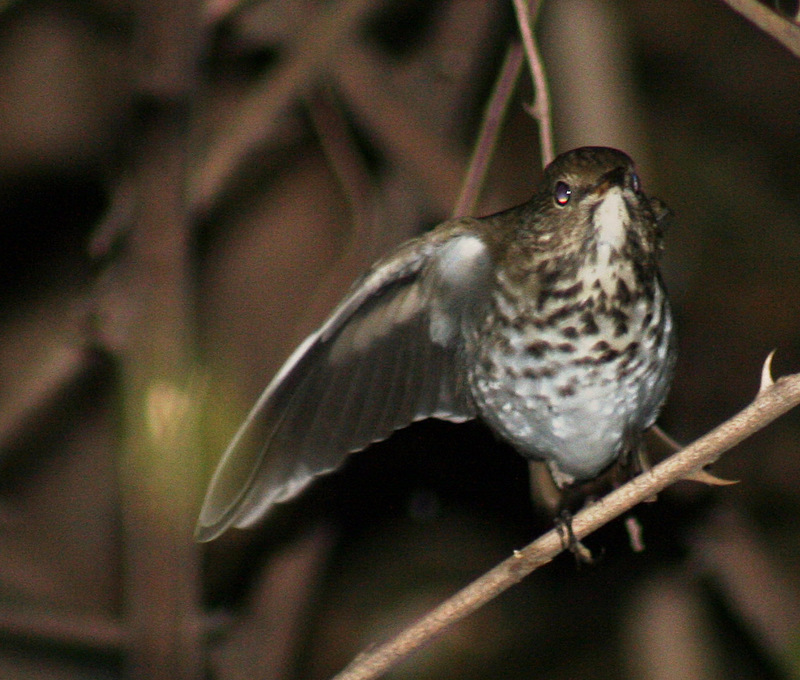 News (1/2/10) - Poetry by Brenda Hillman - A photo of a UCLA hermit thrush is featured in a poem in her wonderful collection, Practical Water. News (12/27/09) - Artwork by Linda Martinson based on Birds of the Campus, and a Daily Bruin article by Shoshee Jau: Working to restore a historic campus creek. News (5/21/09) - More cliff swallows! Also: Guide to Bird-Friendly Tree and Shrub Trimming and Removal from LA Audubon. News (5/3/08) - More Creek Restoration dates set, throughout 2008! News (4/15/08) - More Creek Restoration Sat April 19th! News (3/13/08) - New page! Ongoing Reports! News (3/03/08) - FORUMS ARE BACK!! News (6/29/07) - Added Red-tailed Hawk photos! News (5/25/07) - Updated Bird Count page! News (9/8/06) - Hail to the Birds of Westwood	article in the L.A. Audubon Society's newsletter, the Western Tanager! News (7/14/06) - Savannah Sparrow added. News (7/13/06) - Red-shouldered Hawk added. News (7/12/06) - Bulllock's Oriole added, CA Gull	updated. News (5/15/06) - Black-headed Grosbeak added, at long last! News (4/25/06) - Finally time for more updates! First up: Downy Woodpecker. More species and lots of better pictures to come! News (2/11/06) - Just added a custom PDF Guide to Common Birds of the UCLA Campus! Available free on the Bird List page or click here to download. News (2/6/06) - Just added amazing scans of some of Loye Miller's original observation cards from the 1930s-40s. News (1/31/06) - The Birdman of Westwood on losanjealous blog! News (1/23/06) - Awesome updates! New rare bird added, with pictures: Lincoln's Sparrow. Added profile for also-rare (here) Western Meadowlark. New pictures for Song Sparrow, Nuttal's Woodpecker, Cedar Waxwing, and Western Tanager. News (1/13/06) - New dates added for the Creek Restoration: Jan 22, Feb 4, and 26! News (1/4/06) - Got some great new Yellow-Chevroned Parakeet pictures! 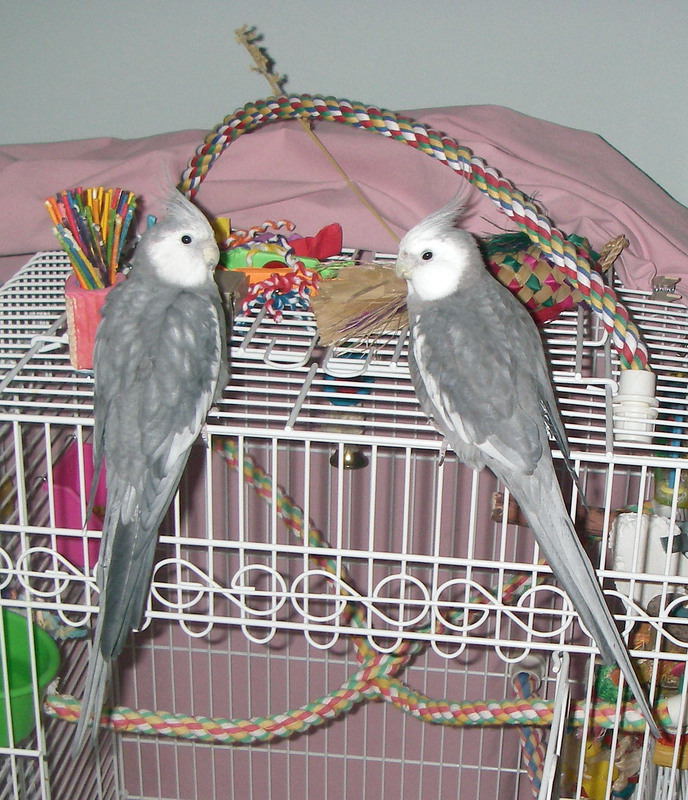 Here's a quick post of them until I get them on the parakeet page. News (11/8/05) - Stone Canyon Creek in UCLA Today! News (10/27/05) - Birds of Westwood in the Daily Bruin! News (10/27/05) - Stone Canyon Creek in the Daily Bruin! News (10/27/05) - Dark-eyed Junco added, by popular demand! News (10/17/05) - Stone Canyon Creek Bird Survey page added, and Orange-crowned Warbler! News (10/16/05) - Added a bird list with thumbnail images! News (10/14/05) - Common Yellowthroat added. What a beautiful little bird. News (10/12/05) - Wilson's Warbler added. Lively little bright yellow guys. News (10/05/05) - House Wren added. Go check him out or he will scold you! Actually, he'll scold you anyway. News (9/19/05) - Wrentit added. A rare (for our vicinity) and very interesting bird. News (9/18/05) - Cliff Swallow added. See them swooping high in the air. News (9/14/05) - Bewick's Wren profile added. Updated Cooper's Hawk. News (7/28/05) - Just added a profile for the Killdeer, one of the more interesting birds we have on campus. News (6/27/05) - I've just received permission from the Cornell Lab of Ornithology to link to their bird sound pages, so now the profile page for each bird in the bird list includes a sound link. Now you can hear what our birds sound like! I've also discovered a few additional birds at the nearby VA Center and National Cemetery that will be added to the list soon. More pictures and bird profiles are on the way too. News (5/24/05) - Song Sparrow and Spotted Towhee added. News (4/30/05) - Birds of Westwood goes live! 22 species profiles with more to come. This website is not officially endorsed by or affiliated with UCLA. Page created & maintained by Jason Finley. If you don't think birds are awesome you better get a life right now or they will peck your eyes out!!! It's an easy choice, if you ask me.